Annoying TV advertisements won't be an issue during the World Cup. The Federal Communications Commission (FCC) on Tuesday voted unanimously to approve rules implementing legislation that makes it illegal for advertisers to pump up the volume during television commercial breaks. The law, called the Commercial Advertisement Loudness Mitigation (CALM) Act, aims to answer the complaints of Americans who have for years protested that commercials are too loud. 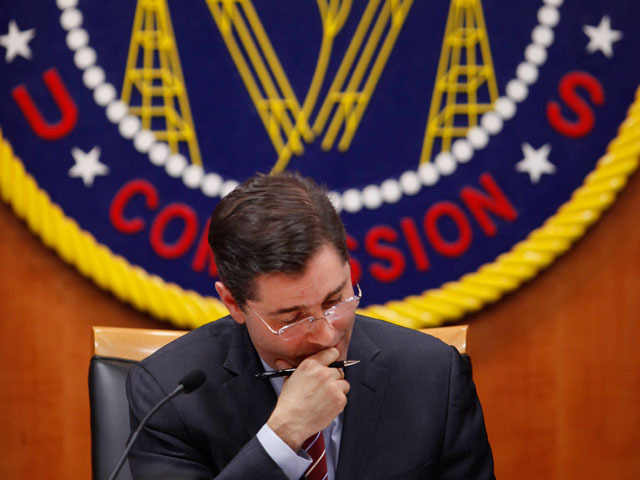 "The Federal Communications Commission (FCC) today took a major step toward eliminating one of the most persistent problems of the television age - loud commercials," the FCC said in a statement following the passage of the CALM rules. "Congress gave the Commission, for the first time, authority to address the problem of excessive commercial loudness." The legislation, which is slated to go into effect on December 13, 2012, dictates that cable providers be responsible for the volume of the advertisements they run, both locally and nationally. According the FCC, the new law will require that "commercials have the same average volume as the programs they accompany" and will establish "simple, practical ways for stations and [multichannel video program distributors] MVPDs to demonstrate their compliance with the rules." The commission argues that a year will give distributors "ample time" to fully comply with the new guidelines. Penalties for failure to compliance have not yet been determined. According to the FCC, all stations and distributors are responsible for complying with the rules. If the Commission sees a pattern or trend of complaints indicating noncompliance by a smaller entity -- some of which have argued that implementing the new regulations will be costly -- that entity can either provide evidence contradicting the complaint, or spot-check the audio on the offending channel. On its website, the FCC encourages consumers to "report TV commercials that seem louder than the program they follow to the FCC" as a means to "identify possible problem areas" and help evaluate the legislation's effectiveness once it goes into effect. California Democratic Rep. Anna G. Eshoo, who sponsored the legislation, praised the FCC vote. "TV stations now have the responsibility to turn down the volume on excessively loud commercials, and it's about time," she said. "The law I wrote is simple - the volume of television commercials cannot be louder than regular programming," she added. "Households across the country will soon get the relief they deserve from the annoyance of blaringly loud television commercials." The CALM Act passed unanimously in the Senate in September 2010, and was approved by a voice vote in the House December of that same year. President Obama signed the bill into law shortly thereafter, before the FCC set to work establishing the rules approved on Tuesday.